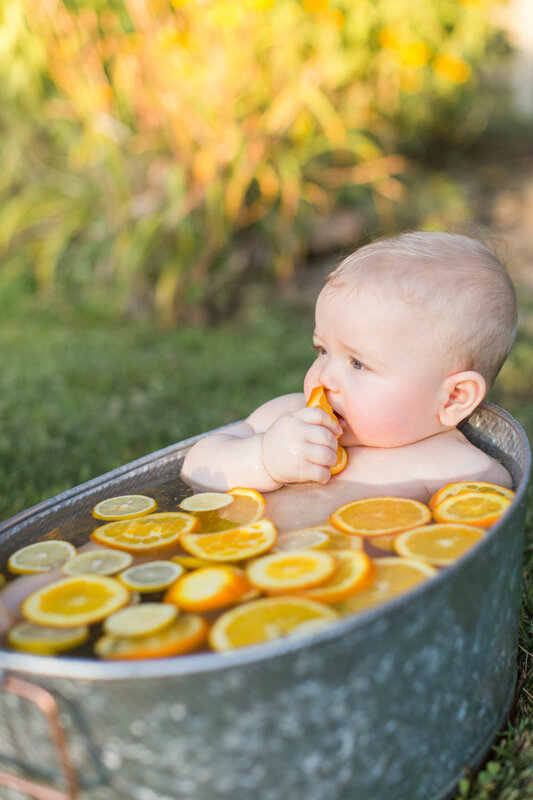 Have you heard of fruit baths? Not yet? Well, it's like the cutest thing ever! 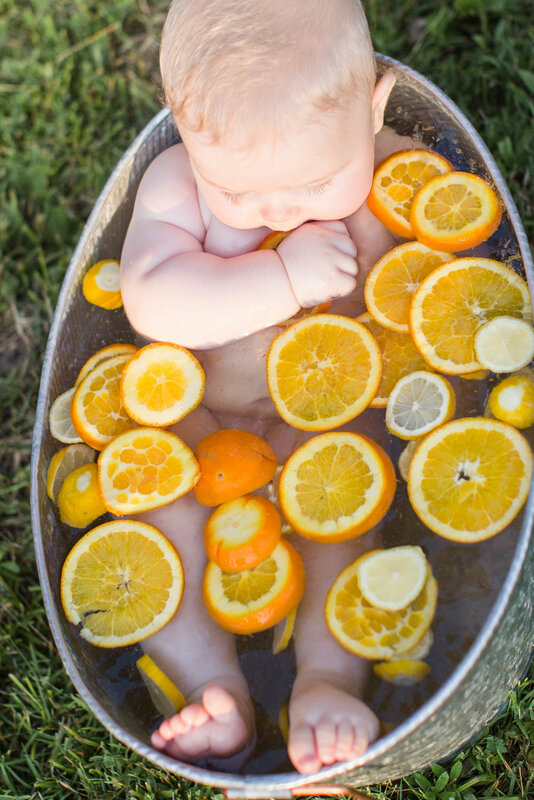 Today, I'm sharing some of my favorites from baby Josiah's fruit bath session. And, I have a little announcement at the end of this post. Hint: FRUIT BATH MINIS!!! If you have a baby (6 months-2.5 yrs old), you won't want to miss it! Don't let him fool yah! He might not look impressed but I'm pretty sure he absolutely loved it. ZERO. TEARS. That says a lot, right? 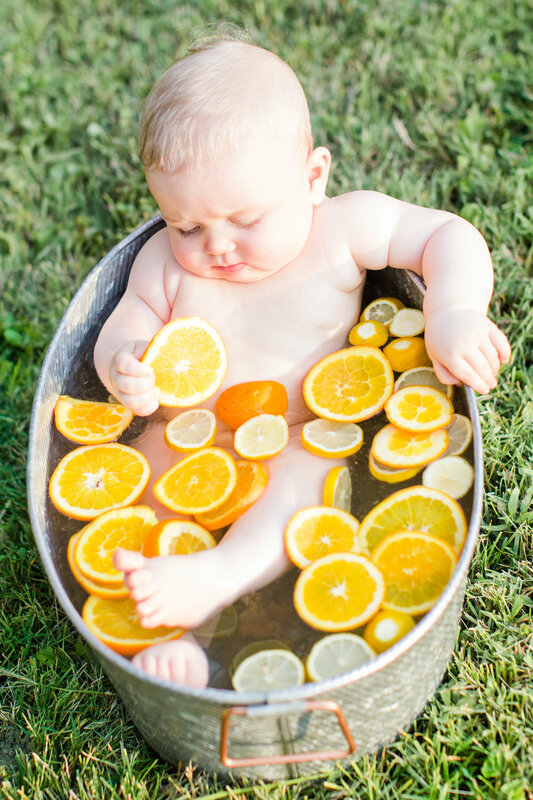 He was just so content and was taking this new kind of bathing seriously. LOL 😄Bonus for mom & dad, now they know he loves oranges! What do y'all think??? I hope you enjoyed scrolling through the photos. 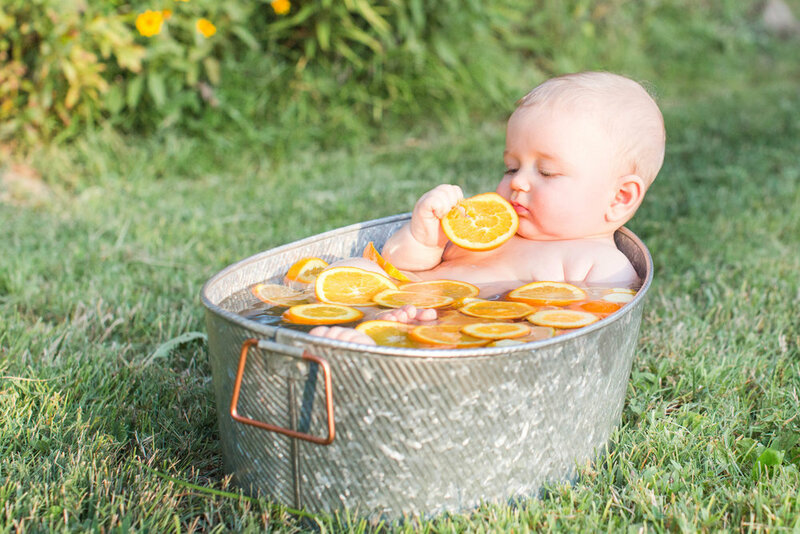 I'm convinced this is the cutest summer keepsake you'll ever have of your little one! 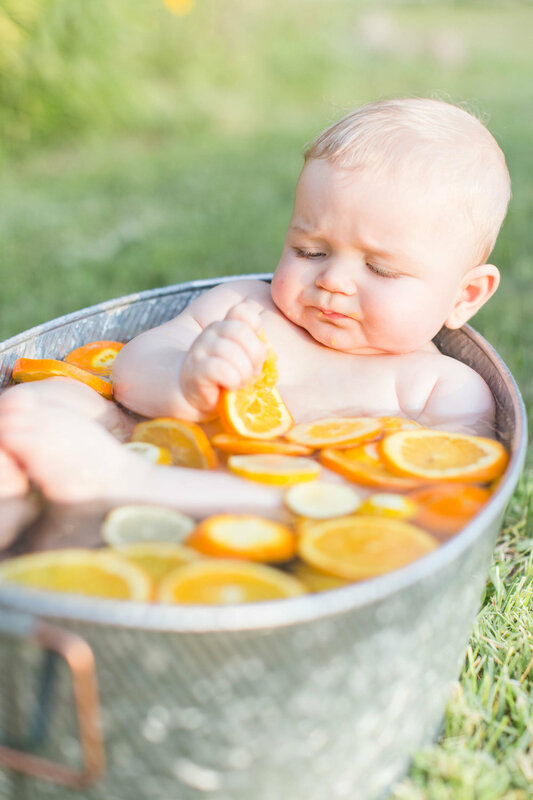 So, I'm offering a limited number of Fruit Bath Mini Sessions for as low as $75!!! Yep, you read that right! And, you can pick your photoshoot date & time from now until the end of summer. If you're still with me, THANK YOU!!! I really appreciate it! 😘Feel free to share this deal to your family and friends who would be interested. If you're interested in booking, just click the button below.